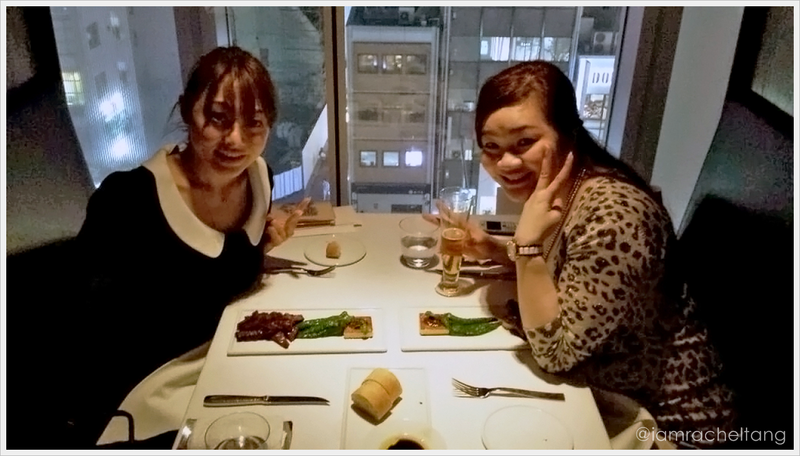 Eriko-san's assistant booked a romantic dinner for us on my 2nd night in Tokyo. It was fine dining dinner overseeing the crowded streets of Tokyo. I must admit... it was a little weird for us at first as all the diners were couples! Like a scene out of the movie... like at any time, someone might get down on one knee, magically appears a big bouquet of red roses and propose. The restaurant was really really that romantic!